Mr. Subhash Dandekar, B.Sc. (Hons.) – Chemistry, M.R.C.S., (Tech) Glasgow, is an eminent Industrialist and Chairman Emeritus of Kokuyo Camlin Ltd. He is also Corporate Advisor to Camlin Fine Sciences Limited and President of Shushrusha Citizen's Co-op Hospital Limited, Dadar, Mumbai. 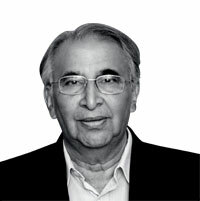 Mr. Dandekar has held various positions in different entities such as Executive Chairman - Camlin Limited, Chairman - SICOM Limited (State Investment Corporation of Maharashtra), President - Maharashtra, Chamber of Commerce & Industry, Maharashtra, Economic Development Council and Jagatik Marathi Chamber of Commerce & Industries, Mumbai, etc. He also holds trusteeship in various Trusts. He has been awarded ‘Vaibhav Ratna Award' by Prasar Bharati, Sahyadri Navratna Puraskar 2005, "Vyapar Shree" conferred by FAM (Federation of Associations of Maharashtra), Wisitex Foundation 'Life Time Achievement International Award’ (Enterprise Development), Thane Manufacturers’ Association Life Time achievement Award – 2010-11. Mr. Dandekar is also a Member of the Citizens Action Group (appointed by Govt. of Maharashtra, for transforming Mumbai, Thane, Navi Mumbai into world class cities) and Management Board Member of Ruparel College - Mumbai, Vidyavardhini's College of Engineering & Technology - Vasai. He is also an Advisor of Babasaheb Gawade Institute of Management Studies, is on the Board of HCC Real Estate Limited, Camart Industries Limited and Cafco Consultants. 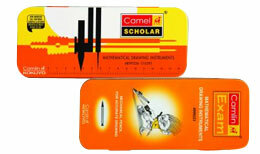 Specially designed for students- a complete kit to excel with precision in geometry.